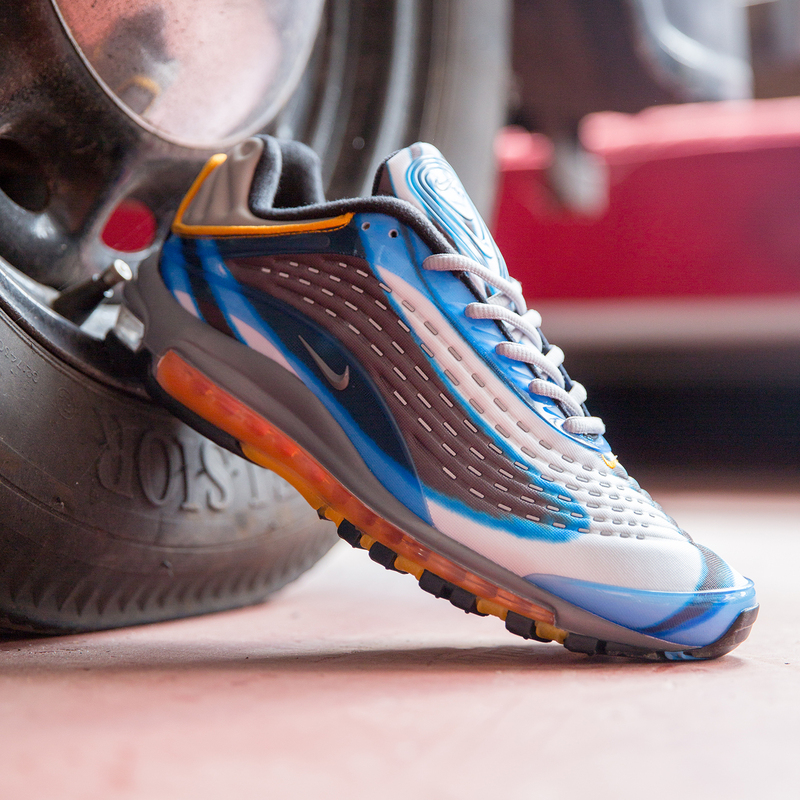 Re-entering the spotlight for it’s long awaited first retro release since ’99, the Nike Air Max Deluxe is back in a remarkably accurate remake for 2018. Following the suit of icons like the 97 and 98 is no mean feat, you’ve truly got some hefty shoes to fill. 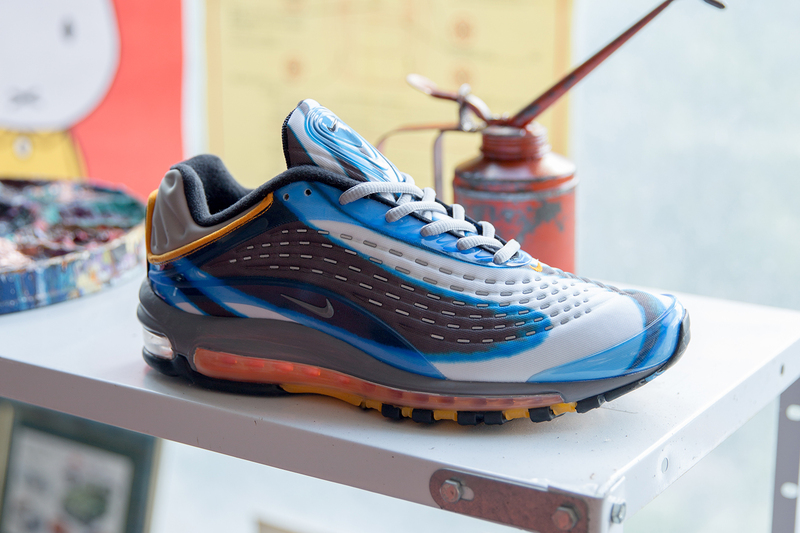 Within Europe especially, these models found spiritual homes within the club scene; Italy in particular took an affinity to the Air Max 97 via different urban subcultures that tiered off through music, graffiti, and high fashion. It’s predecessors both featured radical panelled uppers that drew inspiration from global sources, and the Deluxe was no different. After the successful adoption by the music crowd the first time around, club culture was cited as a further influence in the approach to the Deluxe’s graphic upper, nodding to the reflective clothing and mental prints worn by clubbers across Europe. The same full length toolings as Tresser and Lozano’s previous masterpieces were applied to the Deluxe, the maximum amount of pressurised air contained within a sole unit at that time. Wavey 3M hits ran down the lateral side of each foot, embedded into the graphic-printed nylon upper. The Nike Air Max Deluxe will be available via size? previews and in selected size? stores on Thursday 26th July, priced at £160.